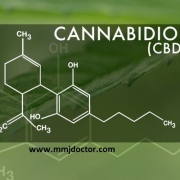 Most of us are wondering what laws are binding on marijuana use for therapy or even recreation and it isn’t surprising. A thorough observation and analysis carried out on the 114 cities and counties that make up the Bay Area showed that each jurisdiction had widely and extremely different ways of implementing prop. 64 which legalizes recreational pot use earlier in November 2016. A string of different laws stare straight at people and resident of these cities interested in growing pot in their backyards or those who want to buy both for medical and recreational purposes which is to begin from the first day of January. From what has been seen, the state wide legalization of marijuana has barely affected the local laws in most communities while major cities like Sacramento and San Francisco are struggling to come up with basic regulatory laws as applications to own marijuana dispensaries and farms has been on the increase while for those wanting to grow this plant in their yards have met with a ban on commercial pot. Following this confusion at all angles, medical marijuana dispensaries are available as at today in only 15 Bay Area counties. Emeryville, has created licensing for recreational/adult-use stores, which do not require a medical marijuana card. And 43 Bay Area cities or counties have banned cultivation of recreational marijuana in residents’ backyards. While Prop 64 legalized recreational marijuana to allow people 21 and over to have up to an ounce of cannabis buds and cultivate up to six plants, it’s up to local government to allow or ban kitchens, clubs and farms. Cities and counties can also prohibit cultivation of a marijuana plants in residents’ backyards. Cities like Napa and Santa Rosa are considering allowing shops for the sale of cannabis, farms, kitchens and personal gardens while some other cities in contrast have banned anything related to commercial cannabis. But most cities in the Bay Area are somewhat in the middle of both extremes. They either have done nothing about their laws or just passed temporary bans while awaiting further direction from the state, the citizens and the neighboring cities. Dale Gieringer director of NORML in California, a group that advocates for marijuana rights said you can’t tell if marijuana is legal in California as there’s no difference now and since before the election. From statistics, almost a two-third of the Bay Area residents voted a “yes” to the legalisation of weed but many city and county leaders seem to move in the opposite direction of their votes. For example, a small peninsula town Colma, famous for its cemeteries had 59% of its voters favour the proposition 64 on November 8 but on the 9th, its 5 membered council in unity passed an ordinance on the ban of commercial pot as well as its personal cultivation “to the fullest extent of the law”. A resident commented that the public discussion lasted only about four minutes. Michael Laughlin, the Colma city planner in an email said the decision made was dependent on the limited resources, the small size and the incompatibility of pot sale with other existing businesses in the Colma area. Another is the Marin County where about 72% of its residents voted positively about proposition 64 had instead a ban on the recreational use of cannabis early in February by its Board of supervisors unanimously and no member of the public had the chance to speak. This examples above have been the same in other cities like San Mateo, Windsor and Capitola. The Marin County is yet to approve a single dispensary in the last 21 years since the legalisation of medical marijuana in the state. The city’s officials say they are waiting for further directions from the state. 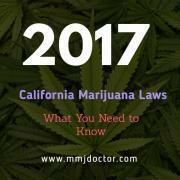 The governor, Jerry Brown has signed on June 27 a legislation aligning medical marijuana law with its recreational law and as a follow up, regulators from seven state agencies this summer are in the process of formalizing draft regulations. “There is relatively little to do until the state gets their act together”. Reports have also shown that many cities lack the skill to make regulations on the license of pot commercially and that also they accept little input from the residents on their enactments. It’s a possibility that no one knows about local bans than Jacqueline McGowan, a citizen turned consultant. She alarmed at the rate at which counties and cities placed were placing bans on medical marijuana started a Facebook group in early 2016 called California – City and County Ban Watch which has attracted not less than 4,000 followers. “Most of these laws were being passed with hardly any fanfare”. and that many websites of various cities and counties were out of date making current and necessary information difficult to obtain and as a result, hard to follow the law. He lives in the Sonoma County, across a street from the Santa Rosa city line. He and some others were surprised when in late March, Santa Rosa presented a proposal for a moratorium on all private outdoor gardens which attracted a total of 60 letters from the residents of Santa Rosa, some writing against while some others in support complaining about the strong smell from their neighbour’s yards and also public safety. And that the city’s main concerns include smell, sight and safety. Those who wrote against the ban said that outdoor cultivation is the only safe and sustainable way for growing marijuana. Evans said he grows his plants outdoor because it saves him hundreds of dollars compared with purchasing from a store or growing indoor where artificial lights would be needed therefore increasing expenditure for cultivation. Finally on the 23rd of May, the council of Santa Rosa agreed to not ban personal gardens. 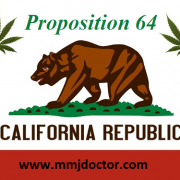 As of now, there are some cities in California embracing a local implementation of the proposition 64. The Sacramento city as at 3rd of April accepted 63 applications for commercial gardens. This city found it easier to license recreational farms as they had years earlier been licensing medical pot farms. Joe Devlin the chief of cannabis policy and enforcement for the city said the thought we had to walk a little before running. Lynne Lyman, the proponent of the proposition 64 said cities and counties who were ahead on their cannabis policies wold keep advancing while those who were still taking baby steps might need to be guided by their voters. She also said the idea of local control was what got its legalisation accepted; “Prop. 64 only resolves state law, you have to get involved at your local level.” She said. Don`t worry! 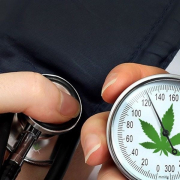 Medical Marijuana is still here. 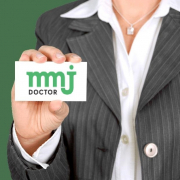 It is easy to get your medical marijuana card online from a licensed medical marijuana doctors! 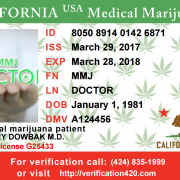 Sign up online here and in 20 minutes you will receive your online copy of medical marijuana recommendation which allows you to buy cannabis from any medical cannabis dispensary in California.